With each day that passes, our excitement for Phil Lord and Chris Miller’s in-development Han Solo anthology movie builds just that little bit more. Last week, for instance, the eagle eyes of TMZ uncovered a fleeting glimpse of Alden Ehrenreich as the young nerf-herder. 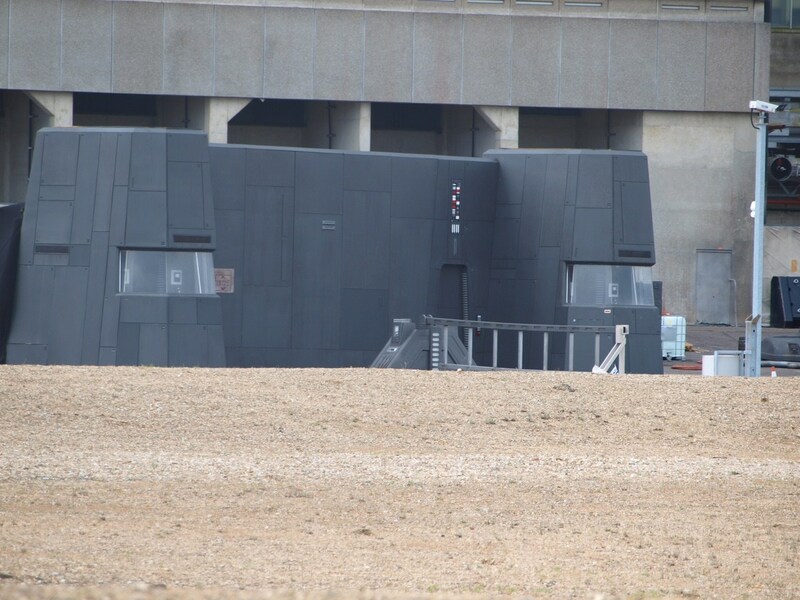 Kitted out in full costume, Ehrenreich was seen in between takes on the film’s Fuerteventura set – aside from the detail in Han Solo’s costume, there admittedly wasn’t much to look at – but over the weekend, Making Star Wars went one step further to relay a fresh wave of pictures from the Fawley Power Station in Hampshire, England. Disney has reportedly earmarked the location for a future shoot – likely after filming has wrapped on the Canary Islands – and at least based on these photos, Phil Lord and Chris Miller’s anthology film will pay a visit to Han Solo’s homeworld of Corellia. It’s by no means the first time that said planet has featured on the rumor mill, but the industrial locale certainly leads us to believe that Disney’s 2018 standalone pic will take viewers off the beaten track. Perhaps it’s here where Alden Ehrenreich’s galaxy-famous smuggler gets his grubby hands on the Millennium Falcon? We’ll find out soon enough. Should these pictures check out, it seems that Star Wars fans will be paying a visit to Solo’s homeworld come 2018. It is an origin story, after all, one that’s been compared to an old-school Western. But the big question remains: can Alden Ehrenreich possibly channel (emulate?) the performance of Harrison Ford? We’ll find out when the untitled Han Solo anthology movie opens on May 25th, 2018.